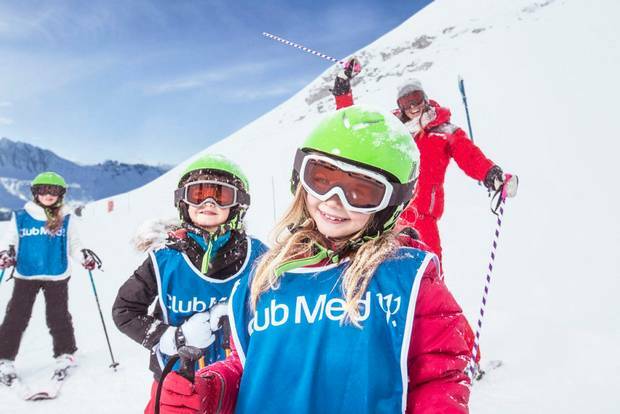 A ski holiday with Club Med includes everything from lessons to lift passes, writes Deirdre Mullins… as well as food and wine. “It’s like being away without the kids,” one mother tells me. “You say goodbye to them at 8.30am and you don’t have to see them again until 4.30pm.” As well as knowing what you’re spending, resorts have ski-on, ski-off access – meaning you can boot-up and clip-in at the door of the hotel. 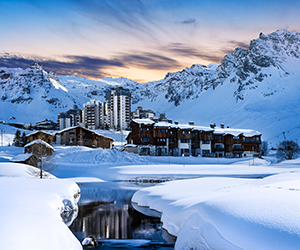 Tignes is a group of villages in the French Alps. 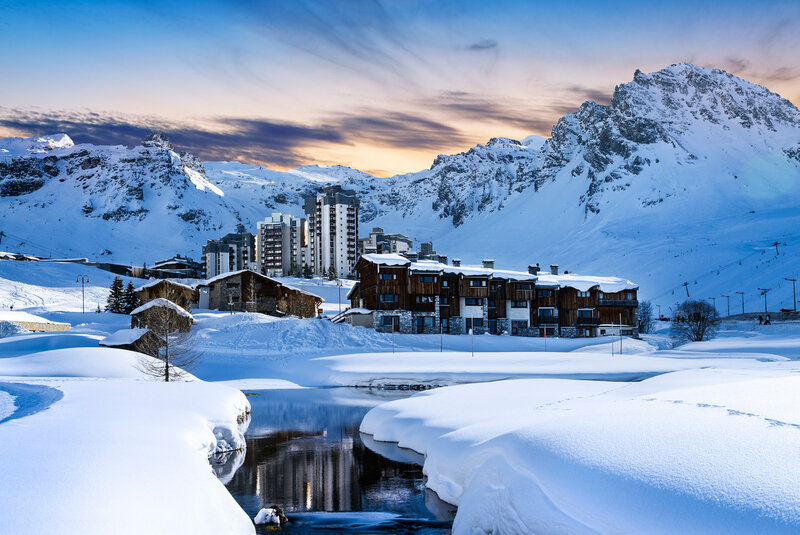 At 2,100 meters in altitude, Tignes Val Claret (above, top) is one of the most dependable ski destinations in Europe – the season is long; it never really stops thanks to the Grande Motte glacier which offers summer skiing and boarding from late June. With over 300km of piste, all levels are catered for and the nursery slopes right outside the hotel are perfect for kids’ ski school. Finish off a day’s skiing in La Folie Douce (lafoliedouce.com/fr), a high-tempo après ski bar nestled in the mountains between Tignes and Val D’Isere. To spoil yourself, skip dancing on the table with the masses and head to the VIP champagne bar for the royal treatment. You don’t have to be a VIP to get in, just order from an extravagant champagne menu where prices range from €150 to €4,500 per bottle. Of course, Club Med guests don’t need to buy any meals, drinks or snacks outside of the package – most days, staff welcome you off the slopes with a vin chaud and nibbles. I was particularly pleased to be scooping delicious oysters off the shell and washing them down with a mojito… even before dinner. Ride the cable car to the top station on the Grande Motte glacier (3,456m). From here you can ski on or off-piste the spectacular 1,350m home. Hire skis and equipment at the hotel shop, but bring warm, breathable base layers, a buff (polyester tube) for around the neck, goggles or shades for sun, and a spare battery pack for your phone (they die quicker in the cold). Oh, and don’t forget your togs for the spa and pool! All-inclusive hotels can feel a bit like being on a cruise ship, so make time to explore Tignes and Val D’Isere. Deirdre travelled as a guest of Sunway (01 236 6800; clubmedsunway.ie), on a Club Med ski holiday to Tignes Val Claret in France. Prices start from €1,565/ €1,310pp (adult/child), including flights, transfers, seven nights’ all-inclusive accommodation, lift passes and a full day’s tuition.